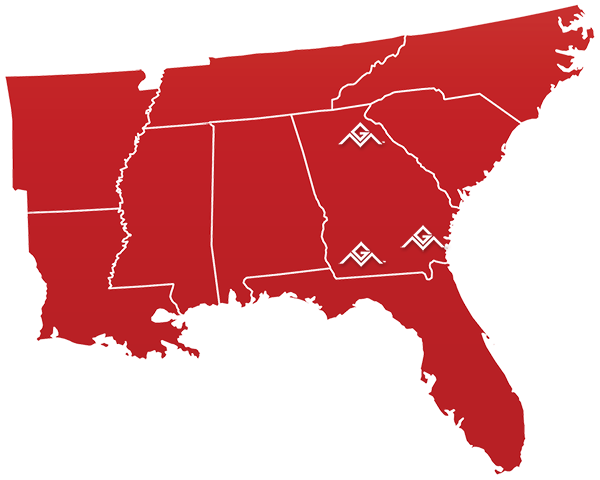 Georgia Metals also provides Quality Metal Construction Products to North Carolina, South Carolina, and parts of Alabama and Florida. We appreciate your business and look forward to serving you - No matter what state you're in! Please get in touch with one of our Locations below or submit our General Inquiry Contact Form. Come 'Metal' in Our Business! At Georgia Metals, we appreciate Customer Relationships and Feedback. We want to know what we're doing right, but also new ways to improve. If you're into Social Media, please check us out (better yet, like us) on Facebook! Also, please feel free to drop us a line any time, or even stop by one of our Locations. Though we like to stay busy, our management team is accessible and always willing to help. Visit our About Us Page for more company info and a little online meet and greet. Por favor llame a Ivan Palma hoy mismo para recibir asistencia al 706-248-3616.